Giveaway: Women’s Novelty Knee High Socks With Ears & Grippy Soles… | FreebieOrBust Freebies! Take a shot at winning your favorite item – you never know when you could win big. It all starts with action – Sign up and register for the chance to win today! We all receive limited opportunities in our life, and this could be your chance to take advantage of our platform and win! 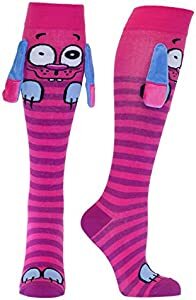 Women’s Novelty Knee High Socks With Ears & Grippy Soles (Pink Spanky), Spanky, One Size. The odds for this one are: 1:1200. A total of 2 prizes are available. Sweepstakes hosted by Amazon and Moosh Walks.